The cigar industry has changed since the '90s Cigar Boom but the marketing efforts of many cigar companies has not. 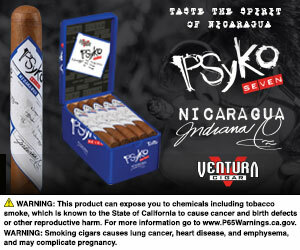 Here are six new rules to successfully marketing premium cigars today. Expensive suits, million dollar watches, luxurious backdrops, scantily clad women–these are all images often associated with marketing premium cigars–and they’re all outdated and wrong. For an industry with so many brands and personalities, it’s often hard to distinguish one premium cigar company from another. 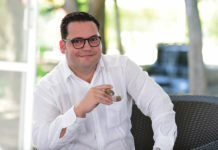 Where as fashion brands strive to tap into the personalities and niche markets, a vast majority of the premium cigar industry is often marketed toward men and portray a lifestyle that is more of a dream than reality for most. As marketing efforts become increasingly important to sell more products and increase brand awareness while the U.S. Food and Drug Administration (FDA) halts new product releases, the rules of marketing these unique products has also changed. 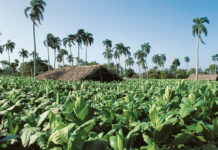 Even though the cigar industry has seen many changes since the big boom during the 1990s, much of the marketing has remained the same. Yet today’s cigar smoker is quite different from the cigar enthusiasts of the ‘90s. Today’s consumer spends much more time online, making social media crucial to every company’s marketing efforts. Today’s consumer is also from a different generation and responds to marketing in a different way from their parents and grandparents. They expect something different from the companies they choose to spend money with, from how accessible they are to how the companies engage with them on a daily basis. To come up with a new marketing blueprint for today’s cigar aficionado, Tobacco Business asked Erica Arroyo a series of questions to figure out what works and what doesn’t for today’s typical marketer. Arroyo is the Marketing Director of Social Media for Cornelius & Anthony, a position she’s had since the company’s launch. 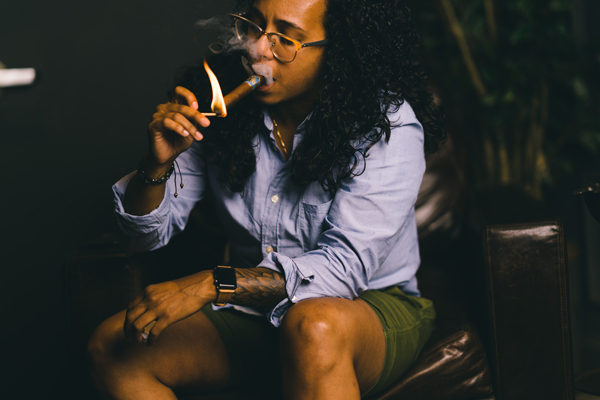 When marketing to female cigar enthusiasts, Arroyo says it’s best not to assume anything. 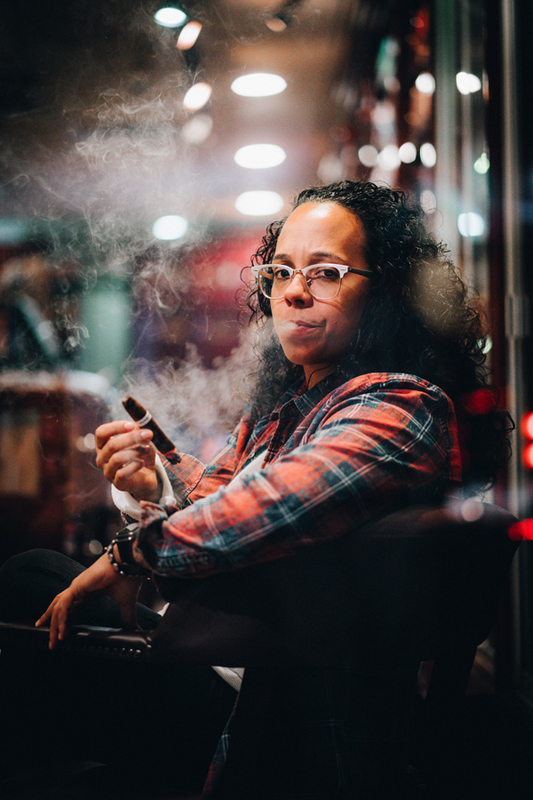 Don’t assume a woman will want a flavored cigar but instead, ask them the same questions you would a man and help them find a cigar in your store’s humidor or in your company’s portfolio that will best fit her palate. No company should be hard to reach and they should be welcoming to their customers and those interested in their products. In the past, there were fewer opportunities for companies to interact with its customers but in the digital age and with social media, those barriers are now gone and companies need to realize that being approachable and accessible to your customers can lead to big profits. 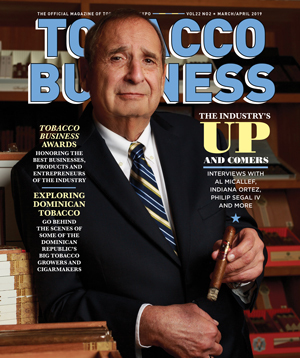 Does your company have its own style and flair or does it blend in to the crowded cigar industry landscape? Your company should be easily identifiable and it should stand out in a crowd, not blend in or attempt to imitate other brands. Consumers today are in search of authenticity and in order for it to be seen in your products and brands it must first begin with the people responsible for managing and shaping the brand into what it is. Arroyo sees the value of this new rule play out with the company she works with, Cornelius & Anthony. 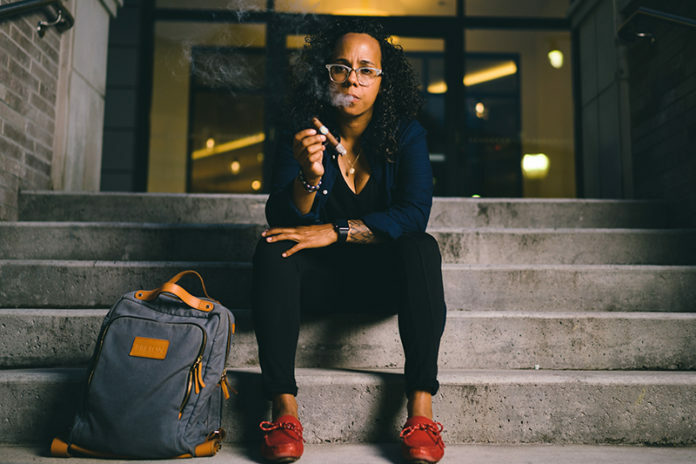 If you’re using social media just to post pictures of what you’re smoking and not giving them a look at your actual business, you’re missing the biggest opportunity that comes with social media. Consumers are looking toward social media for a look into your business, not just what you’re selling. Turn the camera around and show them the people, the office space and behind the scenes shots of your business that they would only get to see in person. According to Arroyo, tobacconists and other tobacco retailers are especially missing out on this opportunity. “Some of these lounges are beautiful. Show me what you guys are all about! All of these shops [on Instagram] are showing me what they’re smoking. Sometimes what they’re smoking–20 to 30 percent of what they’re posting online–isn’t even available in their lounge. You know what I want to see? I want to see your humidor. I want to see your parking lot. I want to see the outside of your building. I want to see your sign, your chairs, your ashtrays, the front desk, who’s working today. That’s what I look for. Too many companies miss the main target of its marketing efforts–its customers. If your marketing isn’t reflecting all of your customers, their diverse backgrounds and preferences, and how your products fit into their lifestyles, you should rethink your efforts. Your marketing should never be about you the products but about the customers. The best place to practice this rule is in your social media efforts, something Arroyo practices each day with Cornelius & Anthony’s social media marketing. As Internet marketing the digital age takes over, so does the importance of viewing your website and social media as your company’s first line of customer service. Not having someone in place to respond to emails submitted to your company or to respond in a timely manner to direct messages (DMs) on Twitter, Facebook and Instagram could be a costly mistake and bring more harm than good to your brands. Arroyo has made an effort to respond to any online inquiries to Cornelius & Anthony within 24 hours of receipt. It’s important to respond to comments on Also, it’s important to make sure the person behind your social media or who receives emails from your website is the best person you have on staff to interact with your customers. 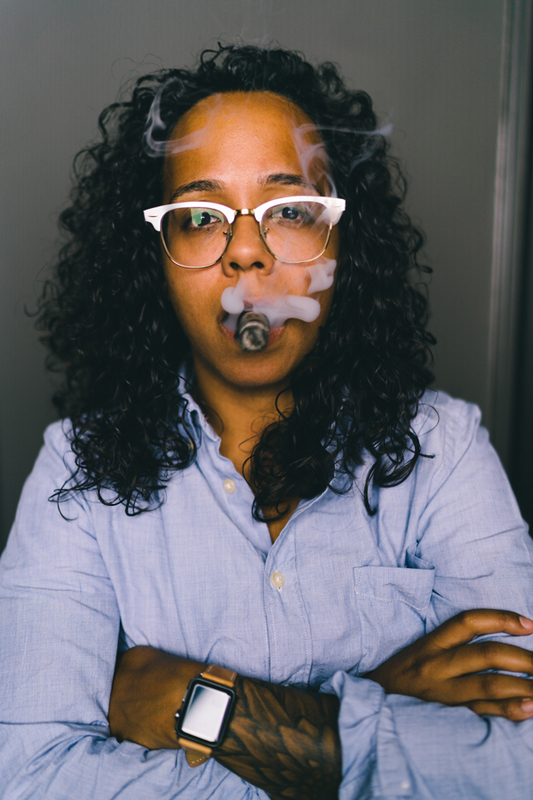 Erica Arroyo is a marketing director setting out to provide a fresh vision and contribute to the advancement of women in the cigar industry. You can follow her on Instagram @errican and visit her website ericaarroyo.com for more information.